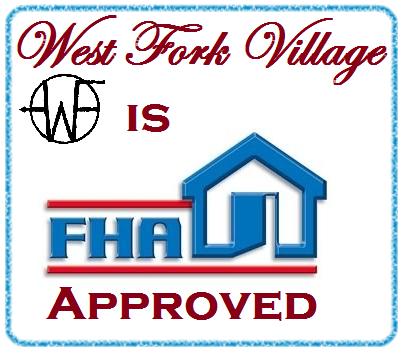 August 23, 2018 West Fork Village is now approved as a FHA community. The Federal Housing Administration’s mortgage programs offers a variety of benefits to low- and moderate-income borrowers. The phrase FHA approved means you have met a certain set of guidelines laid out by the agency. The process for becoming an FHA-approved borrower involves a thorough credit and income review. The FHA also requires certain property types, such as condominiums, to undergo a separate approval process. Having an FHA approval in-hand when shopping for a home can help you get an edge on the competition. Certain property types pose more risk to the FHA, such as condominiums and manufactured homes. The FHA only approves condominium units located within FHA-approved condo complexes. This helps to ensure that the condominium association is financially viable and can weather potential financial storms, such as an increased rate of default on condominium dues, unforeseen or costly maintenance and lawsuits. Condominium associations with insufficient reserves or lower than 50 percent owner occupancy, for example, are not eligible for FHA approval. FHA borrowers seeking to purchase a condominium may have fewer options due to the FHA’s stringent condominium approval guidelines. You can find approved complexes in your area by visiting the Department of Housing and Urban Development’s FHA condominium lookup webpage. Statistics show that approximately 60% of new home buyers intend to use a FHA Loan. If your community does not have FHA condo approval, you potentially limit the buying pool to only 40% of home buyers. This means that in the future a FHA Loan can be assumed (including the interest rate) by a new buyer. 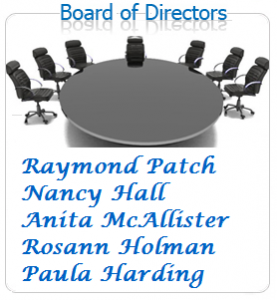 With interest rates at an all-time low, this can be a very valuable asset to an HOA community. Following through on the FHA condo approval process gives your Homeowners the sense that you as a Board care about the community and would like to see it thrive. By avoiding the approval process it will hamper your owners when they go to sell their units or reverse their mortgages. Generally speaking, communities without FHA approval will attract buyers that can make large down payments. These buyers are usually investors who will rent the property for a profit. Buyers who use FHA loans are more likely to reside in the unit, and not rent it out. This is completely false. FHA Condo approval is completely unrelated to affordable housing programs. The FHA can insure loans upwards of $800,000.00 in some areas. Since the recession, most American buyers are using FHA insured loans, and this will be the trend for years to come. FHA loans are not Sub Prime Loans. Although they do offer lower down payments than traditional mortgages, there are credit score requirements, debt to income analysis, and income verification. Also, in 2009 FHA loans made up about 2% of the loan market, in 2010 they were up to 40% and by 2012 over 50% of all loans were FHA.